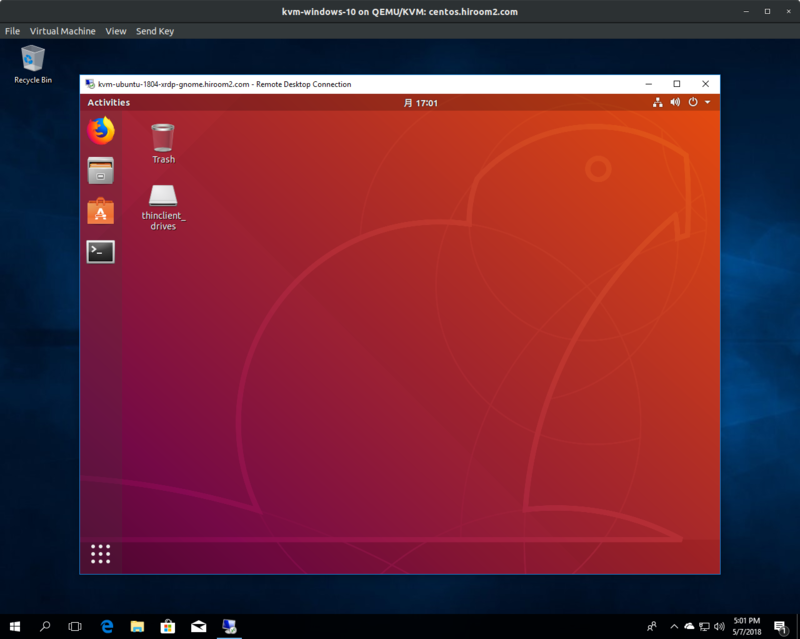 This article will describe connecting to GNOME desktop environment via XRDP. Install xrdp package. If using Xorg as session type, TigerVNC is not needed. Disable newcursors because black background around cursor is displayed if using Xorg as session type. create ~/.xsessionrc which will export the environment variable for customized settings for Ubuntu. 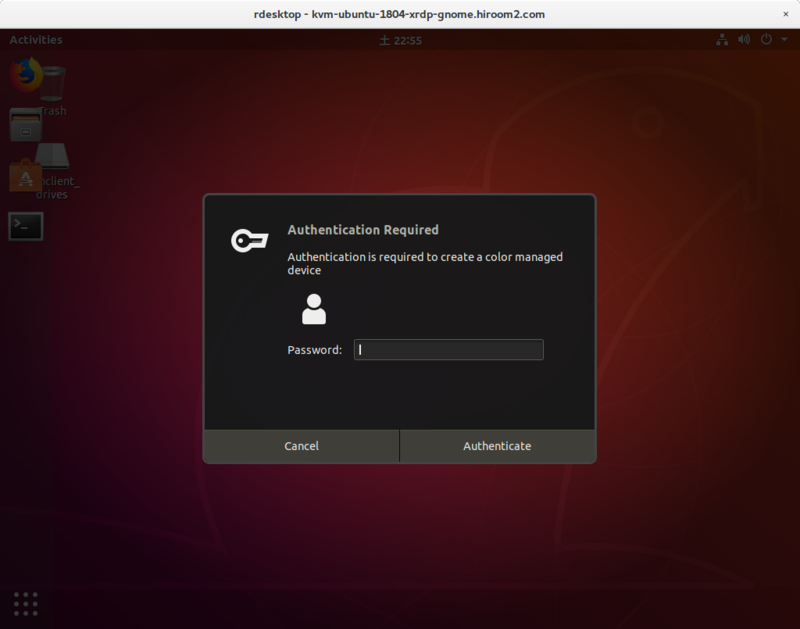 If using Xorg as session type, Authentication Required dialog will be displayed after creating session. If you success this authentication twice, colord and gsd-color will causes error and XRDP connection will be lost. So add rule which makes this authentication to be failed. There is no problem when using Windows Remote Desktop Connection or Remmina. But rdesktop has a problem. If using rdesktop with enabling clipboard, nautilus on XRDP server will be hang (CPU usage will be high). So if using rdesktop, please disable clipboard with "-r clipboard:off".